Realistically, most of us don’t have a super clean diet; one that consists of all the enzymes, minerals, and vitamins we need and void of toxins and known food allergens. And even if we do, unless we live in a glass bubble, we can not avoid all of the pollutants in the air we breath, the chemicals in the clothes we wear, and any emotional stress that may decrease our ability to digest and properly absorb nutrients. If our bodies are either unbalanced in nutrients or in a state of toxicity, this can lead to dis-ease of specific organs and systems in our body, and then if left un-addressed, can ultimately lead to disease..
By evaluating the nutritional state of the body, we can naturally aid the body in freeing itself of any current discomfort or stubborn chronic conditions. 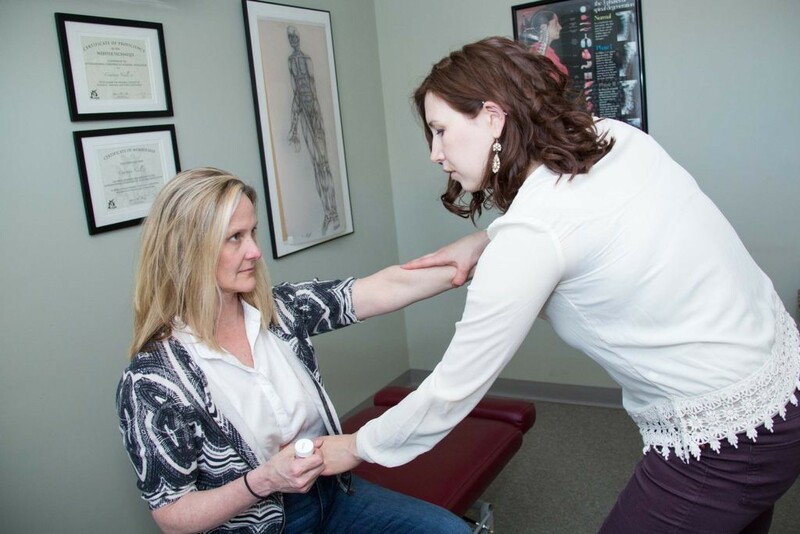 We use a variety of kinds of testing modalities to uncover where your body needs assistance. The most commonly used and trusted methods used in our office are muscle testing techniques to test the state of one’s health and the nutritional needs of the body. We also utilize food logs and detailed symptom-based surveys consisting of seven specific categories may be collected and evaluated, discovering your primary nutrient needs. These categories include: Sympathetic Dominance, Parasympathetic Dominance, Sugar Handling, Cardiovascular, Biliary and Liver, Digestive, and Endocrine. Autonomic Testing (MAT) – MAT is a technique encompassing Chiropractic, Applied Kinesiology, Acupuncture/Meridian Therapy, and Proper Nutrition. More specifically, MAT is a very methodical muscle reflex testing technique that connects the autonomic nervous system and specific organs, hormones, and nutrients of the body via ancient Traditional Chinese Acupuncture Meridians, and tests its function and state of health. If an energy deficiency is found, whether it is due to biochemical, nutritional, or emotional causes, it is treated with either a whole food based supplement or herbal compound. In other words, MAT is a way to subconsciously “talk” to the body and help discover what nutrients the body needs. Similarly, we are also able to “ask” the body questions on whether or not a specific food group may be the cause of any discomfort or allergic reactions you may be experiencing. IgG and/or IgE Food and Allergy/Candida Tests – A sample of dried blood is taken, sent to a laboratory, and is used to analyze against a large lists of potential foods and air allergens to help you discover which, if any, are impacting your health. Weight loss, Detoxification and Intestinal Repair Programs – Sometimes the best way to clean up your Liver or Intestinal system and get it to start functioning properly, is just to clean up the diet, clear out the junk, and just start with a clean slate. A detoxification program can help you lose weight, balance your sugar levels, regulate your thyroid, clear up unwanted allergic reactions, and decrease bloating and constipation. Please call to set up a complimentary mini consultation with Dr. Courtney or Maura to discuss your dietary concerns.